Are you sure you want to buy Pyromorphite BOX for $120.00? 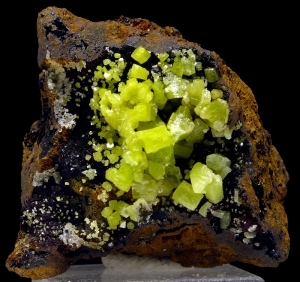 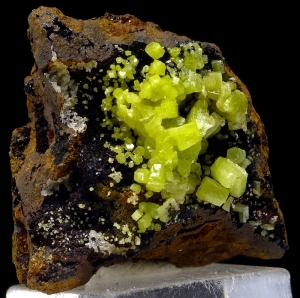 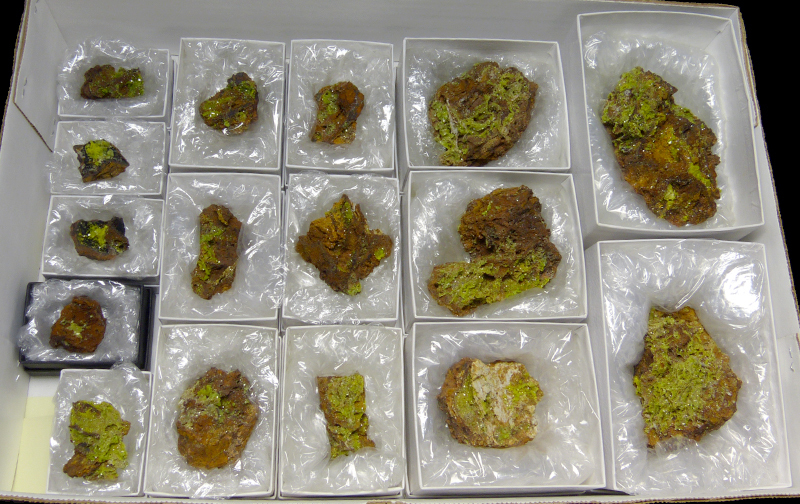 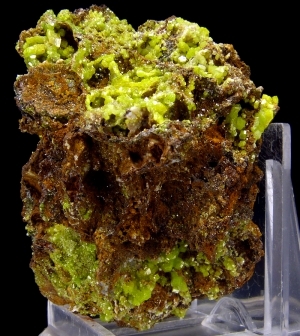 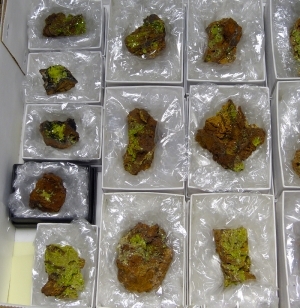 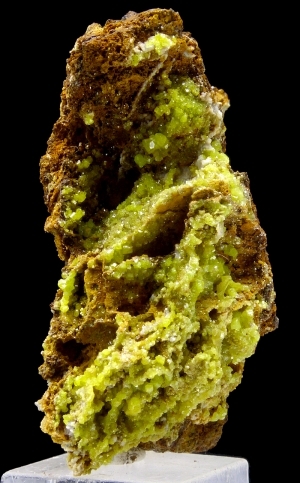 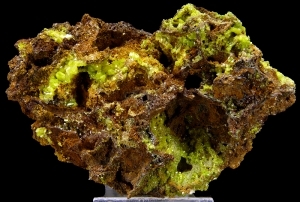 Box of piromorphite specimens with well formed, lustrous green crystals from Morocco. 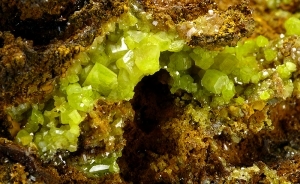 Great, "fresh" green color. 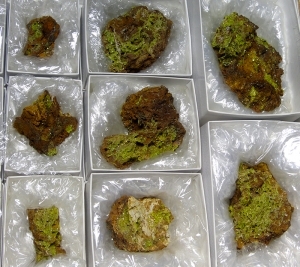 The biggest specimen size is 10.5 x 7.5 cm, the smoller size is 3.0 x 2.6 cm. 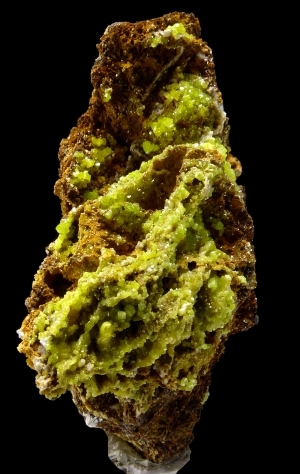 Read more about this find here.